Welcome back to our ongoing series detailing how you (yes, you!) can simplify and streamline your small business workflow. If this is your first time here, why not check out part one and part two? Last time, we visited Grumpy Gus, the sales rep who unified his workflow courtesy of a CRM for QuickBooks solution. 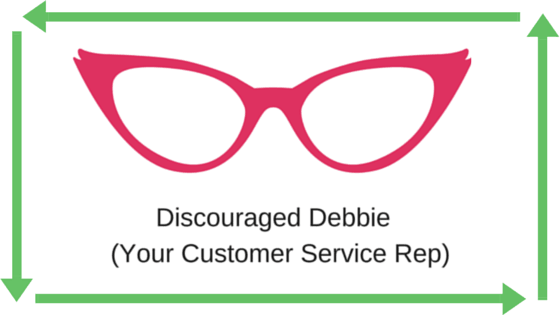 This week, let’s drop in on Discouraged Debbie, your customer service representative. Debbie works for Backyard Masters – a small business building beautiful backyard decks. Debbie’s outgoing personality landed her the job at Backyard Masters as the small business’s receptionist and customer service rep, but scattered internal workflows mean that Debbie is forever trying to collate customer data using everything from unsorted emails to notes scribbled on the backs of invoices. Without a centralized database that keeps track of customer contact information while cross-referencing it with a customer’s payment and service history, it’s hard for Debbie to effectively answer questions and meet her customer’s needs without relying on other departments to “fill in the blanks” for her. Frankly, Debbie is ready to throw her hands up in defeat. But don’t do the dance of despair just yet, Debbie! 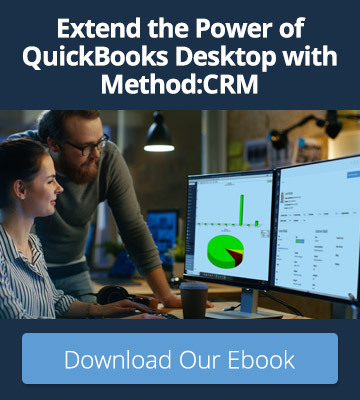 This is where a CRM for QuickBooks saves the day! A Customer Relationship Management software (CRM) is just the right tool to keep track of customer information. It creates a centralized database of all customer information and even allows Debbie and the staff to track individual interactions with customers. Phone calls? Logged! Emails sent? There’s a record of that too. 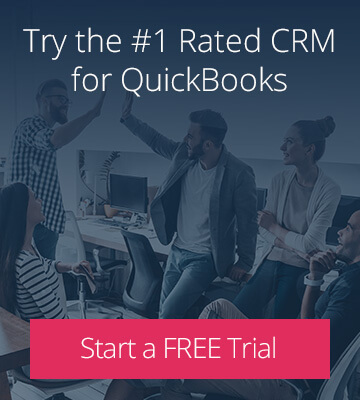 And a QuickBooks-integrated CRM is even better, because while all those great interactions are being recorded, so is the customer’s accounting info! This means Debbie can immediately call up outstanding invoices, pending estimates and everything else she needs to make sure her customers are happy to hear her voice on the phone. Oh, and now that Debbie doesn’t have to dig for her data, it frees up more of her time to make sure her customers are getting the attention they need. Now that Debbie has access to every facet of her customers’ accounting history thanks to a QuickBooks sync, she can become more efficient in answering pressing questions from customers regarding outstanding invoices, responses to estimates, and payment records. This means Debbie doesn’t have to hunt down the service providers who took care of that individual job to get the information she needs, nor does she have to bother Operations Manager, Olivia to log into QuickBooks over every payment record. Even better, the CRM tools make sure Debbie can get that information to her customers quickly and efficiently, never missing an email or voice message again! And when she’s answered a question or has solved a problem for a customer, that interaction is logged in the CRM for easy reference down the line. This is the first step to building meaningful relationships between customers and the Backyard Masters service desk. Debbie’s 360 degree view of every customer allows her to provide quick and accurate customer service, which has raised the company’s overall Net Promoter Score (NPS)!